Photo: © Apple Corps Ltd.
January 21: The American Albums Boxed set. Individual albums will also be made available initially. 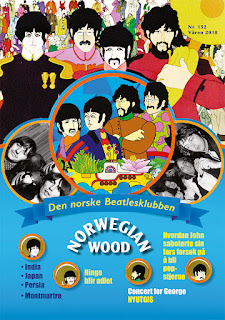 January 27: Beatles Tribute Concert in LA with some of today's top acts. February 3-7: The David Letterman Show will feature a Beatles song a day by other artists. February 9: The January 27 concert will be shown on TV. February: Re-release of the vinyl LOVE album. 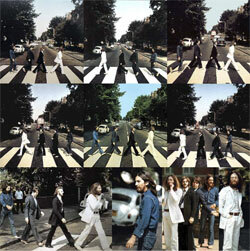 March: Henry Grossman's Beatles photos featured on "60 minutes". June: Mono Albums Vinyl Boxed set. 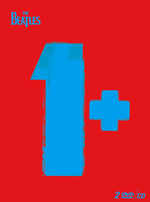 October: Video Clip Collection on DVD, based on "1". Other tie-ins for "1" may include a re-released vinyl album. 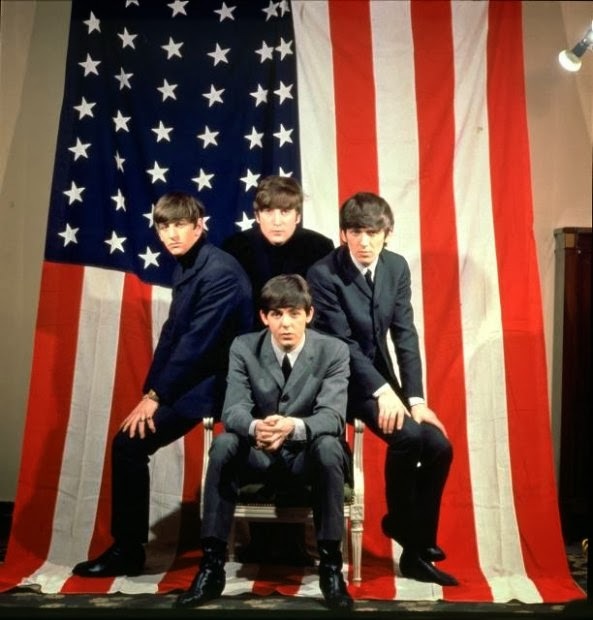 It's quite understandable that the rest of the American albums now will be available, EMI's Capitol left the scene after their first two boxed sets in 2004 and 2006, customers who purchased these will be pleased that they're not forced to buy the new boxed set to get the ones they haven't already bought. We don't really see the market for the Love album, though - everybody's already got that. The video clip collection is very welcomed by the fans, they have been requesting it ever since music video compilations on VHS was introduced. And "1" having been EMI's best milk cow, it figures that Universal will also try to exploit that Greatest Hits market in one way or another. Let's just hope that they will include those music videos that are a bit to the left of the "1" concept, like "Strawberry Fields Forever" and "Hey Bulldog". Let us also hope that the DVD will keep the original aspect ratios of the promotional films, so that the opportunity isn't ruined like it was on the McCartney Years release. Based in Chicago, Illinois, Break-Thru represents wholesale merchants of Entertainment, Music, Trend and Lifestyle merchandise. I'm not sure why Love needs to be re-released. As for the "clips" DVD, the only worry I have (apart from the fact there are more than one film for one song in some cases) is that they are complete rather than just "clips" of the promos. Guess we'd better get saving! All looks exciting, if indeed these happen. However I would have liked to see a 50th anniversary blu ray of hard days night. And I do hope that the film clips dvd contains all versions of all the promo clips not just the ones from 1. God forbid they release something that is actually "complete". Hopefully next year Shea gets a 50th anniversary release...and as for the mythic Let it Be dvd....its been this long already whats another year or two? Also, I know (or am pretty sure ) that Apple dosen't own the rights to hard days night, but hopefully miramax/ua/ or whoever controls the rights these days will see fit to release a blu ray in time for the anniversary. Trouble is, one company owns the film with the original mono soundtrack, and another (Apple/Universal) owns the stereo audio of the songs. So it looks like the twain shan't ever meet again. But the film has been released on Blu-ray - with an attempt to stereofy the mono audio. You'll find it here. There's been no official announcement on the US LPs and they've been deleted from some sites. My guess? With 2014 the 50th anniversary of the US visit, we get a release of Capitol Albums vol. 3, Capitol Albums remastered box set, and the albums on iTunes and individually — plus the 50th anniversary Grammy concert. 2015 is the 50th anniversary of Shea and Hollywood Bowl, so a live album will be used to promote that — along with book 2 of Lewisohn's work. This will come in early spring/summer. X-Mas 2015 will be another swath of Lennon material from Yoko to remind us Johnny was the genius. Paul will stay away from that, releasing archival editions in spring perhaps. 2016 is the earliest hole in the Beatles' anniversaries (Candlestick may have been covered in the previous year) so expect Let It Be will be talked about then. This will also be the last year for McCartney's archives, unless he looks forward to the 80s. 2015 also is the 50th anniversary of the Beatles cartoon series. Brian, according to someone on the inside there will be Tug of War and Pipes of Peace sets out once V&M and Speed of Sound are done. I'd love for the people in charge to get somebody who knows what long-term fans of the group want, such as all 3 versions of We Can Work It Out and the various versions of Paperback Writer/Rain and the like. God forbid that they cut up the versions into one horrid composite promo. I'd love for the Hollywood Bowl album to be looked at, plus Shea Stadium, maybe the Japanese Concerts (both "light" and "dark" suits). 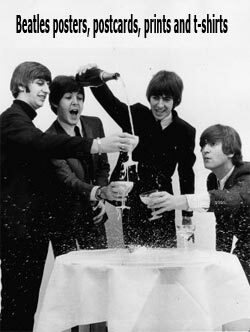 Finally it'd be nice to have A Hard Day's Night properly released with both parties involved so that we get the best version - I found that the DVD of it had the music played at a slower speed and the sound wasn't great either. Looks like I'll have to sell a kidney to pay for all these wonderful treats! Mono vinyl box set in June ? I guess it will be the UK Lp, right ? Are there any experts on the UA/Apple relationship around? Could the same problems that afflict 'A Hard Day's Night' on ownership may theoretically apply to other movies including 'Let It Be'? That is, mono soundtrack of the original issue belonging to UA and the stereo to Apple? Confusingly this has not proved a barrier to revamped 'Help' and 'Yellow Submarine' movies so assuming that the failure to reissue is because nobody involved with it can face promoting it or that as per its original issue, it will 'break the myth'. Again. But aside from this, there seems to be a very different arrangement on AHDN and I've never seen a clear explication of why. Although asking the fans what they want would be a good use of social media for a b(r)and which owns all its stuff, Apple is not quite in that position but rather in a very very complex and delicate web of rightsd issues. Therefore, many of the criticisms of Apple's issuings since 1989 miss out on the pragmatic realities of getting product realised as opposed to ideas and wishlists.